This tutorial teaches you how to use the Greenify app to extend Android battery life on your Android devices. If you haven’t heard by now, Greenify is an app that puts your other apps in a state of hibernation and in return; this frees up memory and battery life. There are many other apps out there that promise to improve your device battery life and overall performance, but many of them also come with extra bloatware that you more than likely don’t need. Things such as ads and installing other “recommended apps”. The app, Greenify, on the other hand, has no such features. It is simple and does just what you need it to do. If your Android Smartphone battery drains quickly, then Greenify is the app that will help you save your much-needed battery power. Use Greenify to extend the battery life of your Android device by several hours. Here’s a useful Greenify app review. The Greenify app hibernates all those power hungry apps running in your Android’s background. The battery life that these apps would be draining frees up which in turn extends your overall battery life/performance. The Greenify APK also frees up a lot of memory on your device, making for smoother and faster transitions between apps and games on your smartphone or tablet. You do not need to uninstall or disable any of your apps, all you have to do is use the Greenify interface to put them into a state of hibernation. You can even use Greenify to control when an app restarts. All apps will remain in sleep mode until you choose to wake them up. Quite handy for someone, like myself, with over 100 apps. If you have say, 120 apps, and you decide to put them to sleep, and you only want to use say, 5 out of the 100 then, only those five will wake up once you launch them. The others stay sound asleep. Yes, you can even Greenify WhatsApp & Facebook. NEW: Auto-hibernation now works in non-root mode, (need to be enabled in experimental features setting, Android d 4.1+ required). If you have secure keyguard enabled, try “Hibernate and Lock Screen” shortcut or “Pull up” gesture on Home soft-key. Greenify help you identify and put the misbehaving apps into hibernation when you are not using them, to stop them from lagging your device and leeching the battery, in a unique way! They can do nothing without explicit launch by you or other apps while still preserving full functionality when running in the foreground, similar to iOS apps! You can download Greenify for Android on the Google Play Store, and it is entirely free! Then, use the Greenify manual below to get started using the application. Here at XDA-Developers.com, we are power users. As power users, we often have a lot of apps installed. Sometimes those apps run in the background and waste precious battery life and maybe even take away from our data bandwidth. Well if those apps would just go to sleep, we could have more battery left for fighting an ornithoid versus porcine battle. XDA Senior Member OasisFeng has an application to help put those apps into hibernation. 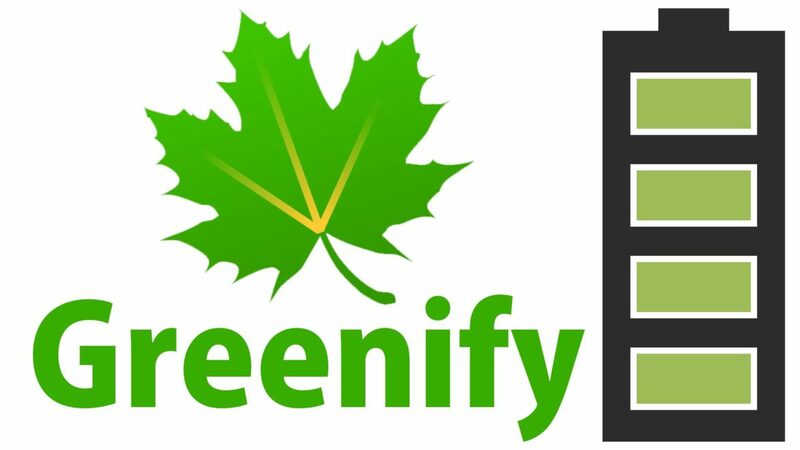 In this video XDA Developer TV Producer, TK reviews Greenify. TK shows off the application, its uses, functionality and talks about his thoughts on the app. So check out this app review. How do I Delete Greenify? That’s it! All your apps are in hibernate mode. The app will remain asleep until you manually launch it. Greenify prevents all those battery draining, auto-restarting, memory bloating apps from ever getting in the way of your Android’s performance. Enjoy your newly improved battery life and don’t forget to share the info with your friends. You can also opt for the Greenify Donation APK for more features. For another application that has app hibernate feature, you can try 3C Toolbox. Note: if you Greenify WhatsApp, Facebook, Twitter, etc. Push Notifications might not show for these applications. To view new messages/notifications, open the particular app. Thanks for reading, How to Use Greenify App to Extend Android Battery Life on ORDUH! As always, we welcome your feedback & queries in the comments section below. Don’t forget to check out 3C Toolbox, another great tool for managing and maintaining your Android smartphones & tablets. Is this the same as the Greenify 4pda download? I am not sure. 4PDA is a Russian website and I cannot read Russian. It is best to download the app from the Google Play Store. Is there a Greenify for PC? No, as far as I am aware, there is no Greenify for PC at the moment. I’m uncertain of how to get it to work with the fingerprint unlocking function, which has been disabled. How do I keep that function? I believe that you may need to upgrade to the Greenify donation apk or have a rooted smartphone in order for the feature to work properly. Did you read the post? It outlines how to use Greenify. Good Greenify review. I’ve been wanting to know how to use Greenify on my LG G4 for a while now. Thanks! Thanks for your comment. Be sure to check out our LG G4 battery drain/overheating fix tutorial. It also features the Greenify app as well as the 3C Toolbox app. Great write up! Greenify is a very useful app for any looking to improve battery life on Android devices. Thanks for your feedback! Greenify is a good application to have when it comes to extending battery life on most Android smartphones & tablets. I’ve been trying to download Greenify on PlayStore but I can’t! Help! Greenify – Android Apps on Google Play If you don’t see it then it is probably restricted in your location. I highly doubt this though! I have Android lollipop (non root) and after greenifying the apps I checked the apps running in the background from settings. I saw that the Greenfied apps are still running in the background. Can you tell me why? Read the section (recently added) how to uninstall Greenify. Thanks for your comment.